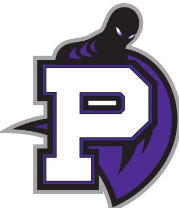 The Phoenixville Area School District will provide activities and athletic programs for our students that will foster personal growth, strengthen our sense of community and inspire excellence. Student activities and athletics play an integral role in the educational process for students in the Phoenixville Area School District. Through a diverse number of program offerings, we seek to encourage students to participate in a broad spectrum of activities to foster personal growth and development. Our coaches, club leaders and staff strive to build comprehensive programs designed to inspire and teach important life and leadership skills through competition and hard work. These programs create a positive and memorable experience for our students, alumni and community. Phoenixville Phantoms win with humility, handle defeat with grace and act in a sportsman-like manner at all times. Our Activities & Athletics program embodies the spirit and qualities of our school, pays homage to our proud history and is an asset to our community. Effective July 1, 2012, the Pennsylvania General Assembly passed Act 82 of 2012 which requires schools to disclose Interscholastic Athletic Opportunities Disclosure Form athletic opportunities for students in grades 7-12. The Pennsylvania Department of Education has established the "FINAL" disclosure form on PDE's website for all public secondary school entities. School entities must collect this data for each school year, beginning in the 2012-13 school year. This includes public schools, joint schools, area vocational-technical schools, and all public schools having student athletes in grades 7-12th. For more information, please visit the PA Department of Education website.